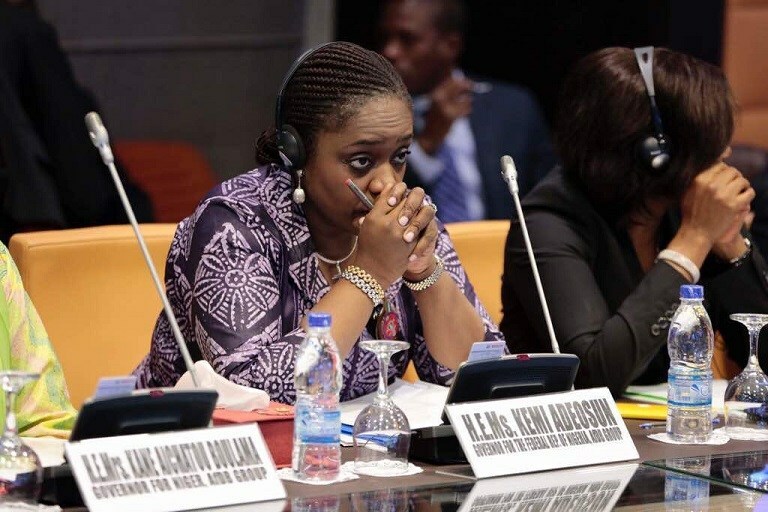 The Presidency on Monday said it hopes the certificate forgery scandal involving the finance minister, Kemi Adeosun, would soon be proven as false, claiming that investigations are still on after more than 60 days since PREMIUM TIMES broke the story. It however said the government would take the appropriate action immediately details of the investigations are made public. forged a certificate that indicated she was exempted from participating. The revelation trigerred widespread outrage from Nigerians, with the Human and Environmental Development Agenda, a nongovernmental organisation, petitioning the police inspector general demanding an investigation into the claims against the minister. sued the NYSC for its failure to disclose details of the certificate paraded by the minister. The group had earlier made a freedom of information request to the NYSC which the agency ignored. In August, Lai Mohammed, the information minister, said the appropriate agency was still investigating the allegations against Ms Adeosun and that the president would only act at the end of the probe. So far, the corps’ only comment on the scandal was a short statement on July 9 saying it would investigate the claims . On Monday, in the Presidency’s first public comment on the matter, President Muhammadu Buhari’s spokesperson, Garba Shehu, said the allegations against a key member of the administration were yet to be proven. Mr Shehu, who was responding to allegations of corruption against top officials of the administration said ‘some persons’ were looking forward to a predetermined outcome from the allegations hence their disappointment with the government’s (in)action so far. “The minister of information has spoken on the matter. And a process is ongoing to address the allegations. When that process is complete, Nigerians will know the outcome,” Mr Shehu said during an interview on AIT’s Kakaaki. “Some people want a particular outcome and because they are yet to see this outcome, they are not happy. Give it (investigation) time. There is a process ongoing,” Mr Shehu said. He said the Presidency would act when it has all the facts. “It’s an allegation. If it is proven, you will see what will happen. The minister and the NYSC have spoken on the matter,” he added. When challenged on the length of time the ‘investigation’ was taking, Mr Shehu said: “It is not for me to decide (the duration). I don’t have the full facts of the matter, so why the investigation is not out, I don’t know. I hope there will be an early outcome. “Don’t forget, these people (Mrs Adeosun and other indicted officials), whose names are being dragged in the mud have families and relatives. We hope their innocence will be established,” he said. While the Nigerian government continues to drag its feet on the certificate forgery, it successfully prosecuted a civil servant for falsifying his professional accounting, ICAN, certificate. PREMIUM TIMES reported how James Lebi-Ayodele, who worked at the Office of the Auditor General of the Federation, was convicted by an FCT High Court in Jabi in July and sentenced to two years in prison without an option of fine for forging the Institute of Chartered Accountant of Nigeria certificate. According to a report in Vanguard, the judge, Yusuf Halilu, said the convict would have risen to the position of the Auditor General of the Federation with a forged certificate in the future if the forgery had not been detected. The judge also ordered Mr Lebi-Ayodele to pay ₦100, 000 in restitution.